Square Garden Table Set Features an elegant contemporary design for adding style and class to any outdoor setting, making it ideal for your backyard, patio or garden. This 5-piece outdoor patio dining set comes complete with four dining armchairs and an elevated table. These beautiful garden table and chair sets are hardwearing and weatherproof. 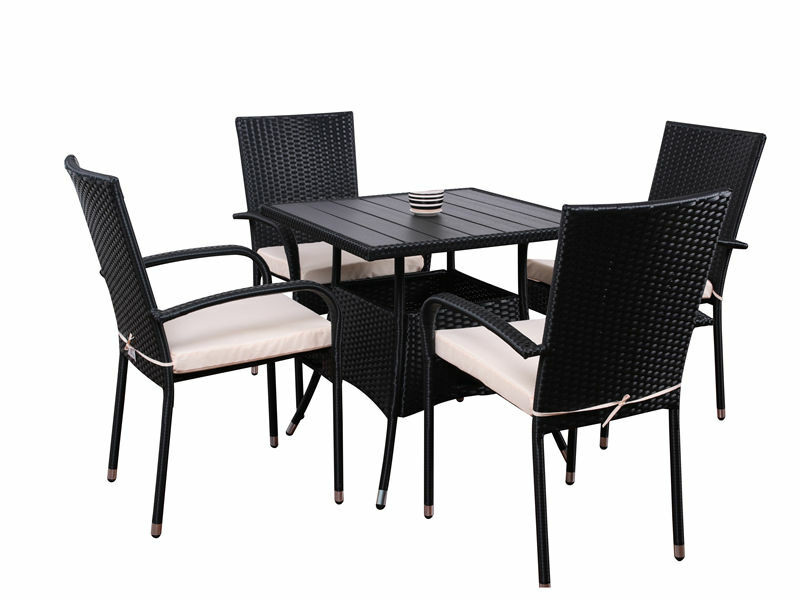 Woven in rattan, our garden dining sets have a lovely natural look and are strong, sturdy and supremely comfortable. This stylish square garden table set will help you enjoy your outdoor space to the full. Whether you`re enjoying morning coffee, a long lazy lunch or an evening tipple, you`ll find the high quality rattan ideal to relax in. The seats have a wide arm and the backs are arched for added comfort, so if you sit down to watch the sun set, don`t be surprised if you`re still there as the stars come out! The table has an attractive glossed glass top and, whilst . Looking for ideal Square Garden Table Set Manufacturer & supplier ? We have a wide selection at great prices to help you get creative. All the 5-piece Outdoor Patio Dining Set are quality guaranteed. We are China Origin Factory of Patio Coffee Table Set. If you have any question, please feel free to contact us.